It doesn’t take much to setup an American Express Membership Rewards account online, because you’ll be able to use your rewards as soon as you register your card, like The Platinum Card® from American Express. Everything is right there under the same login – your credit card information and your AMEX Membership Rewards details. And if you have more than one Membership Rewards earning card, your rewards will be linked, so you’ll be able to see your earnings and redemptions from multiple cards all in the same spot! Here’s a quick look at all the cards that earn AMEX Membership Rewards along with links to more detailed information about the AMEX Membership Rewards program as a whole. Like I mentioned before, setting up an AMEX Membership Rewards account doesn’t require anything other than registering your AMEX Membership Rewards earning credit card online. Once you have your credit card registered, you’ll be able to manage the Membership Rewards points you earn through the same online login. 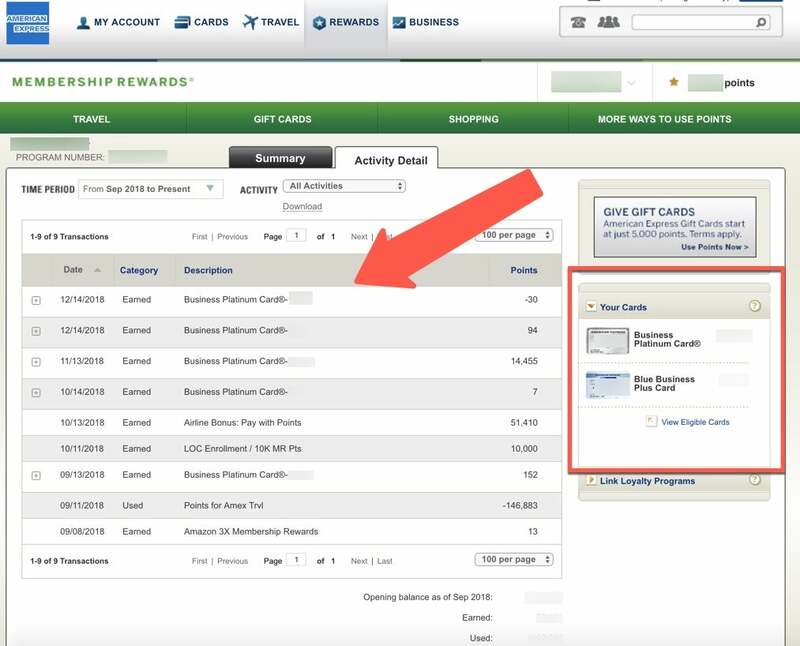 All of your AMEX Membership Rewards points earning cards can be linked together online so it’s easy to manage your rewards. Do American Express Points Expire?